It’s been a while since I have built a Mod, but it seems I cannot get enough of the Military route, having sat there and looked at BF3.3 project (that became my misses PC). I have to say I wanted to build another. 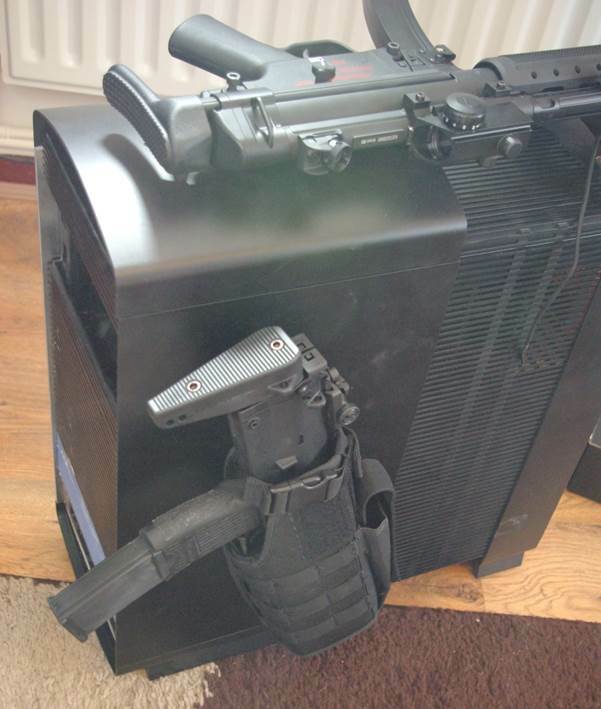 This time I wanted to go down the same route of having a weapon, but now I wanted it mounted to the case permanently so that I could rewire the internals so the trigger became the PC’s power switch. 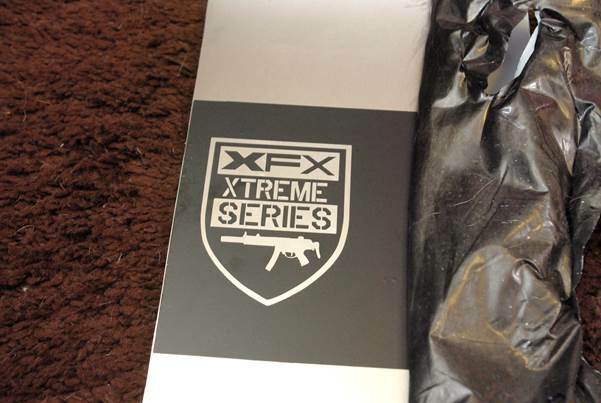 I also wanted to make sure the safety on the replica also worked, so that with the safety on the trigger would not do a thing and so it began and hence the name XFCN which is military speak for Exterior Function. 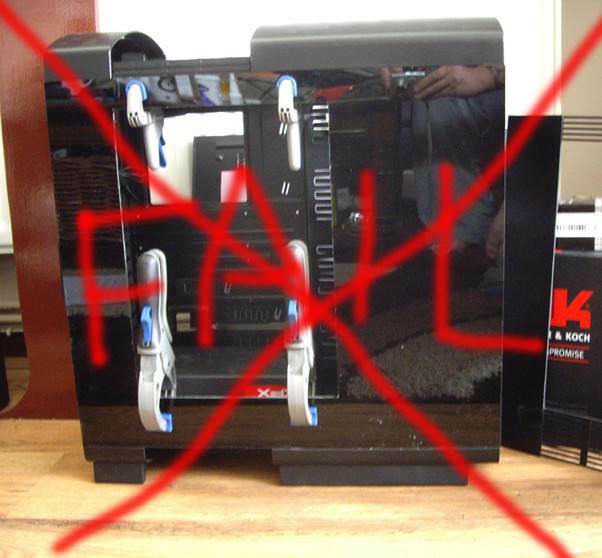 XFX really stepped up for me on this build and offered me a superb choice of full support with hardware and would supply the Case, PSU and Graphics for the project, and as most of us modders know that is a huge chunk of change out of the money we spend out, there was a condition that it goes to some shows, but hey I am up for my work being on display. 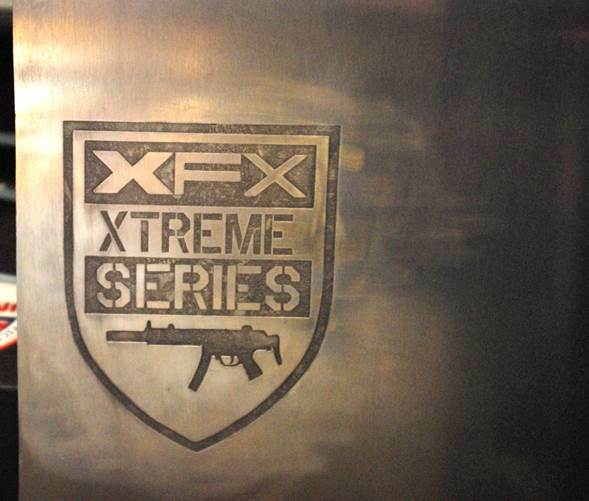 Another Big thank you goes out to UMAREX, who will be supplying a couple of Airsoft Realistic Imitation firearms for the build. 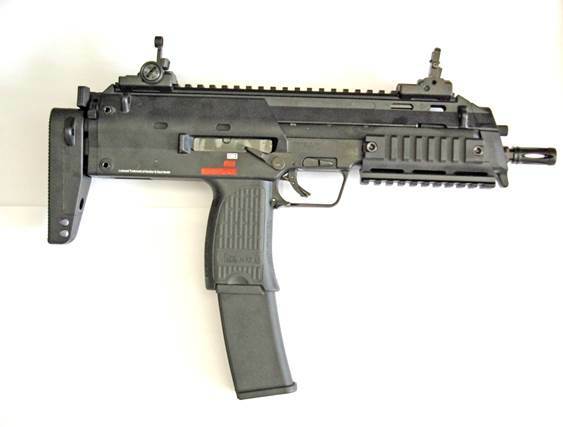 The main choice for the roof mount was a MP5 and UMAREX hold the worldwide exclusive trademark and exterior design copy of Heckler and Koch products, which means the replica will be a 1/1 scale and looks as close to the real version of the MP5. 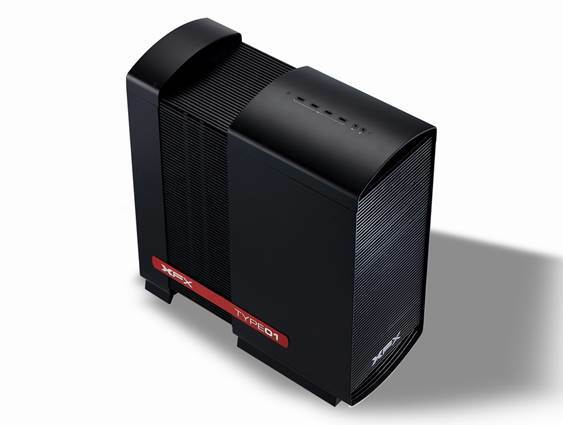 Swiftech will be supplying the main components of the watercooling with 2x 140mm radiators, the Apogee XL and the Maelstrom V2 Dual Bay Reservoir/pump combo. 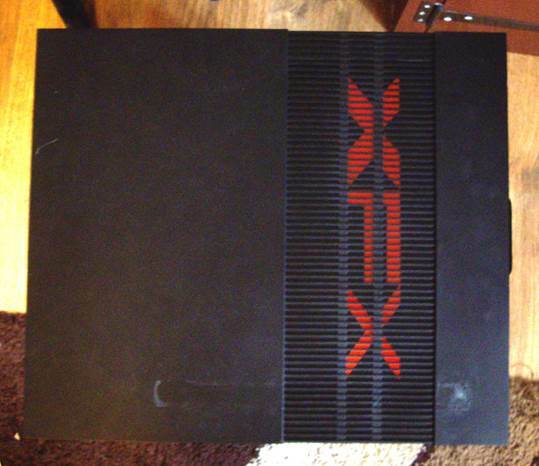 A big thank you to the Kingston team for supply a 8gb kit of Red and 8gb black hyper X memory kits to match the builds theme. 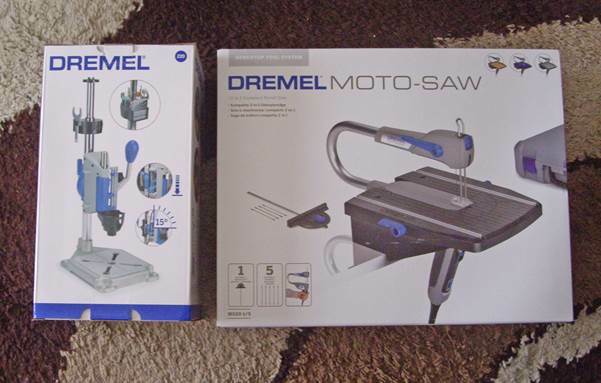 Thanks to Dremel who seem to step up on every build, I got a couple of pieces of to help move the build along quicker. Thanks again to PrimoChill for supplying their hardline kit with a bender and tubing with the connectors, they also supplied some modsmart pieces too, so watch this space. Also a shout out to Bitfenix who are always there to supply me on my builds with lighting and fans, every bit does help. More thanks goes out to Startech for supplying me with the HDD brackets and the cables I needed to fit 4 SSD’s into 3 slots. 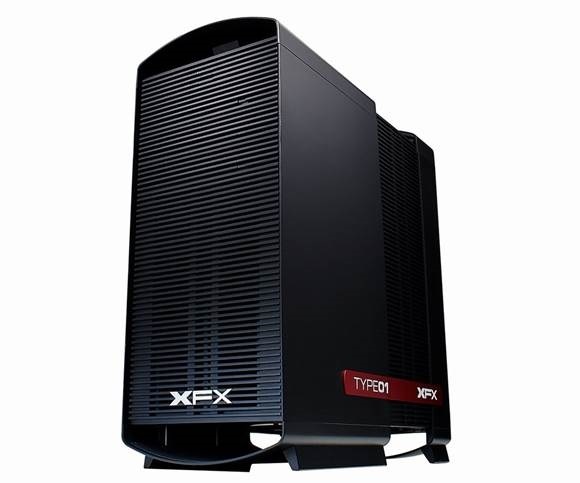 The case in question is the XFX type 01 bravo and it has a nice smooth appearance with some inner bulk (if that makes any sense to you guys). 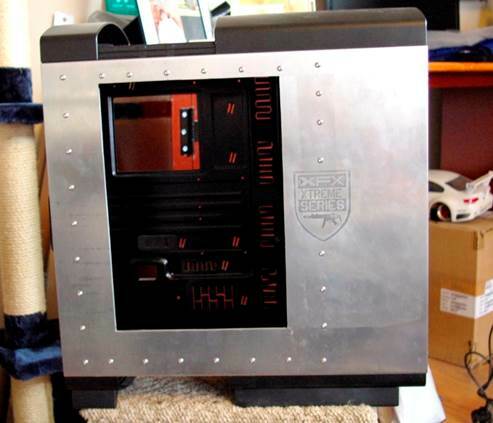 So of course most of you probably know my mods will be going to feature a window with a hand etched window, with that said, let us move on to the beginning and get this build started, as always criticism is always welcome and never taken personally. So lets begin. Last edited by Richie123; 10-14-2014 at 01:18 AM. Back again as promised with a little update, removed the red sign from rear side panel, but then grabbed my 3m tack remover to find it had evaporated, so I’ll have to wait for more to turn up to remove the rest of the bonding tape. 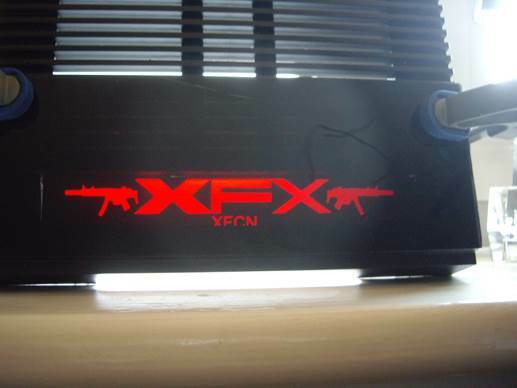 This should give you an idea of what I want the rear panel to look, like, so when powered up just the XFX glows up on this panel. 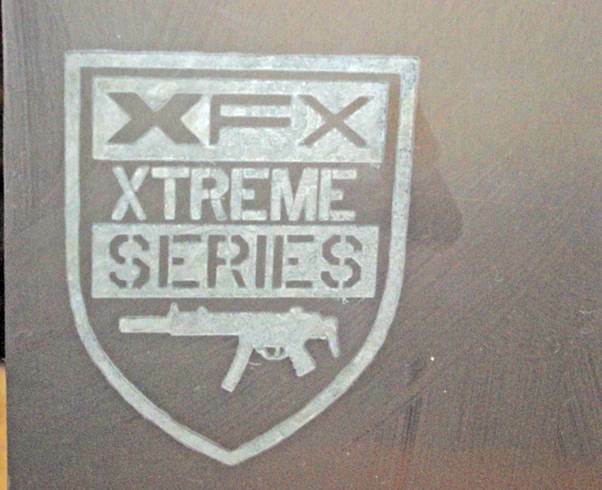 Onto main side which will of course include an etching, but also after removing the XFX type 01 logo from the bottom of the panel, I wanted something else to say XFX type 01. Here is what I came up with. This was done using vinyl stencil, Salt water and a tattoo powersupply, I need to polish up a bit more to get rid of fine marks. I should have really done a guide. So to make up for that I will make sure something else needs some of this treatment so that there is a guide in this log. 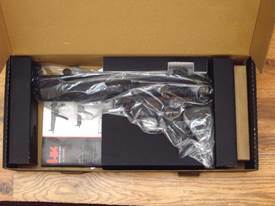 Yes that is 2 Heckler & Koch boxes from Umarex, time to open these puppies up. 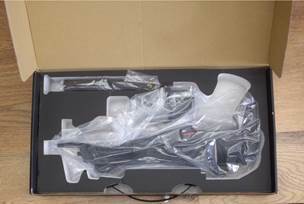 Although I only need the MP5 for now to mock up on the roof, here is a couple of images of them out of the packaging. 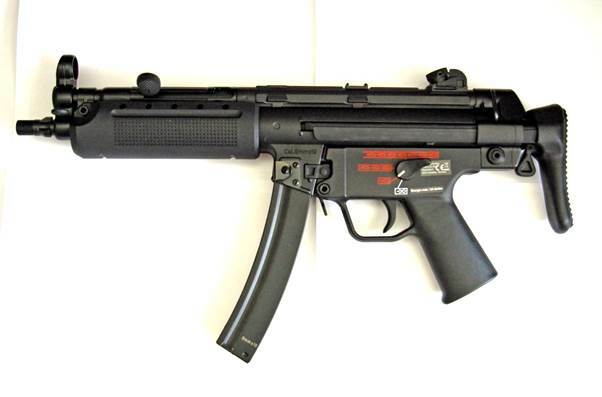 The MP5 replica we have is quite amazing to be honest and I supposed it should be as Umarex own the licence to produce one to one copies of Heckler and Koch products, the detail on this is superb and the build quality just as good too. The MP7, just like the MP5 is really detailed, this is also a one to one clone and very well made, this is mostly made from a composite though, but I do have to say I think this has a nice feel to it and my personal fav out of the two I received. I will add some more detailed pictures later so you guys can see how nice they are close up, but for now, I am going to use the mp5 to mock up the roof mount for it. 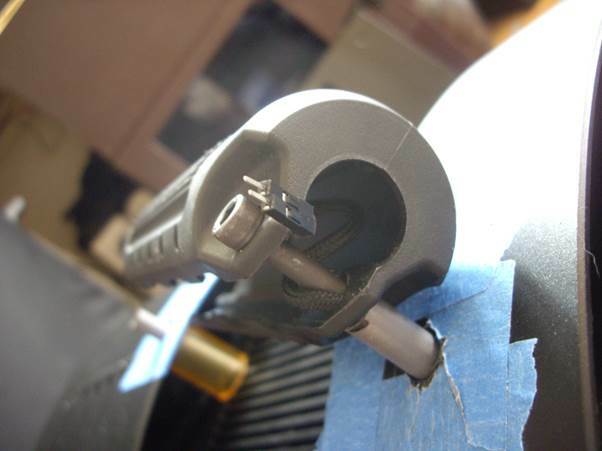 So first up was placing the gun into position and then marking up a few mount holes to cut. 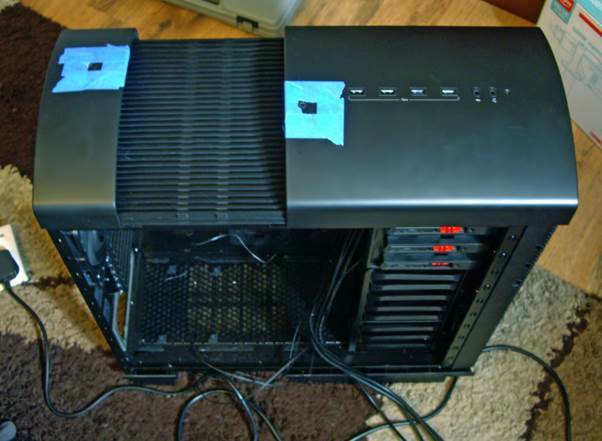 I also had to think that I still wanted access to the audio sockets on the front of the case as well as 1 or 2 of the USB ports, so a slight angle was chosen to ensure this was possible. 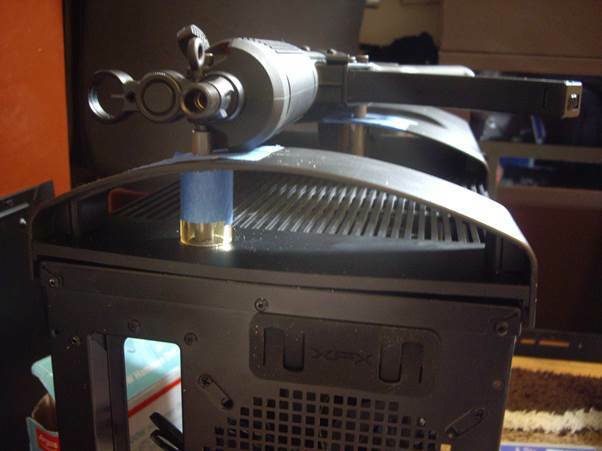 Of course, being double skinned I had to remove the top and make the drill holes through the metal too. (Hoping my measurements are correct :P). Phew, with the bolts in place I had done it just right, as you can see I now have the access to one USB port and both the audio ones, I had to also mock up some supports so that it was not resting on the roof, I also had to make sure these would be sturdy and have enough clearance to allow a motherboard cable to run through them so I could wire the trigger. This is what I came up with. I decided to use a steel inner, with an acrylic outer tube, just to give the arch more stability, I still have to sand more of the acrylic tube down though as it is putting a bit of pressure on the top panel and causing a light curve as you can see. 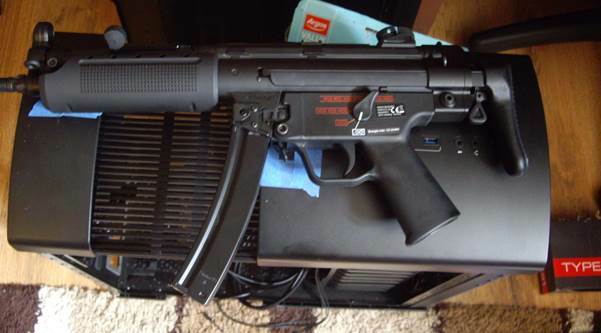 As you can see the MP5 is now sitting above the roof, so far so good, let me move onto the motherboard power wire. Eureka, now I have the wire able to route up into part of the MP5 I am beginning to see the light, I do have to say that was the hardest part of wiring up the trigger to be the powers witch as wiring the gearbox of a AEG has the wires hanging out of it already, I only have to connect the two going to the motor and wire this cable to the connectors on the front of the gearbox, I thought that was me done for the day though until I spent and age looking at the front panel, and thinking..
Well I was not happy with it, so I am going to have to redo it again, what I am going to do is cut the slats down as I don’t like the fact the tint panel is sticking out and from the side you can see the grooves, It is just not right at all!. More on that to come later. Small update, misses started the etching for the window, I thought I would take a shot just at the start so you guys can appreciate the work going into it. As you can see it is mainly all dotting which is a long process, but the best way to get shading and detail. 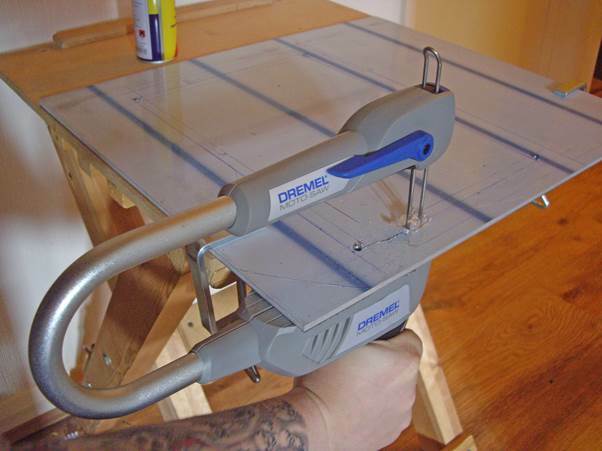 what are you using to do the "dotting", a dremel? 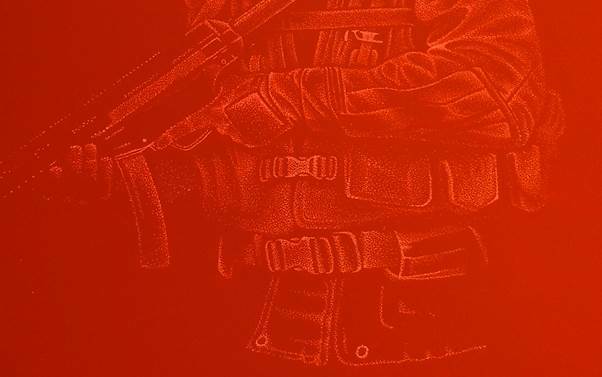 I think it is coming along nicely, I did have some other ideas for the image, but this one seems to be the best choice for the rig as the mp5 was a feature in it. 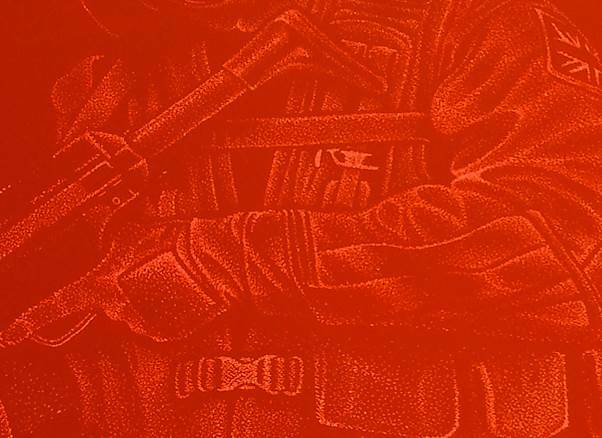 Click here for a full size version of this image to give you an idea of how much time is put into these engravings, with the 1000s of dots involved. 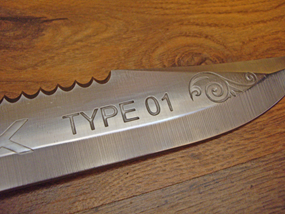 So before I start on about salt water etching here are a few things that turned up. One Dremel Moto-saw and one tool stand (the tool stand I had already and despite turning my place upside down I could for the life of me not find it) so thankfully Dremel stepped in to replace it. 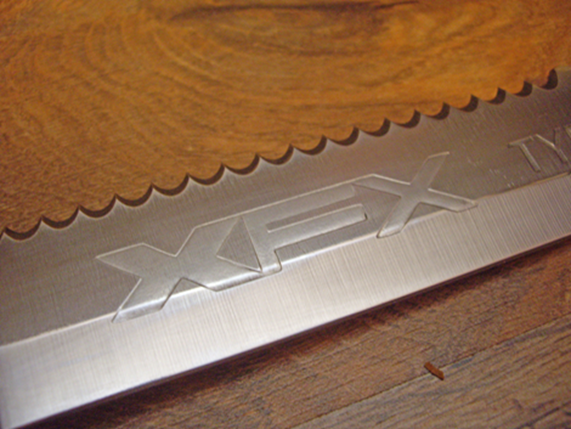 As for the moto-saw, I needed this as I was unhappy with the look of the side panel with the slits in the side (see previous posts). 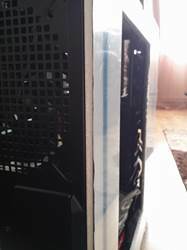 So using the Moto-saw I created a new side panel out of a fresh piece of acrylic, although this still bugged me out and I was not happy as it did not have any ruggedness about it at all. Ha ha yes to me this was an epic fail and it still felt pretty flimsy, not happy with it at all, what to do next was quite simple, get some 6mm aluminium sheet. This is where the moto-saw came into its own, although it took twice as long as using a jigsaw I wanted the cutline to be as thin as possible and with some WD40 and some perseverance I finally ended up with a proper side panel. Now that was done it was time to add a small etching to the panel, I will describe this process as best to my knowledge and accept no responsibility for you getting small electric shocks, or any fumes numbing your mouth lol… (more on this later). 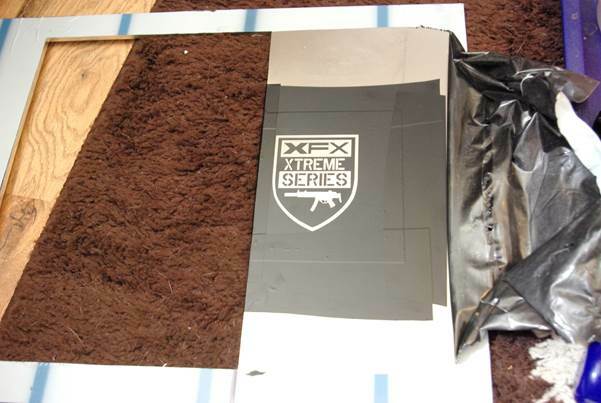 So the first thing we want to do is set up a stencil, luckily I have a silhouette cameo vinyl cutter so I cut my design out and applied it to the panel. It’s important to get the stencil made from outdoor sign vinyl as it is more durable than normal vinyl, I should also point out here, that once I apply a stencil I leave the item alone for 24 hours, just to ensure it is stuck down well, one thing you don’t want to happen is the vinyl to start lifting during the etching process as that will just ruin it. On the next day I add some vinyl around the edges just to ensure no seeping salt water gets onto the metal any other place than were I want it, I think this is something that is important too as you don’t want to ruin the thing. 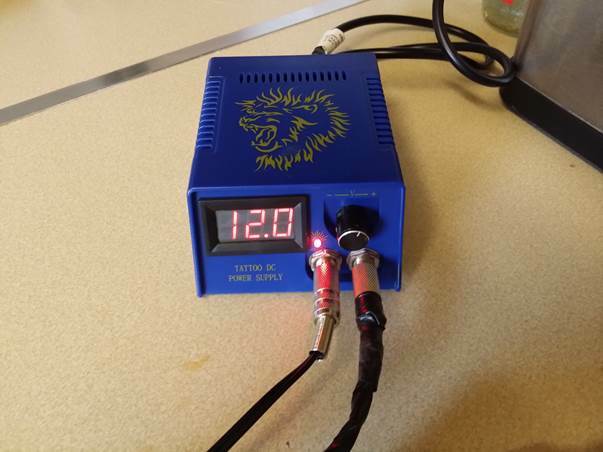 Yes guys this is a tattoo power supply, the reason I am including this in the guide, is this is what I use regularly to do any saltwater etchings. Its small does the job and works how it is supposed to. Although I it to a charger for the panel, I had already took pics of this for the guide. Salt water etching this way is a messy process and as you can see via the towel under the white one, make sure you put something under the towel (I have a large glass chopping block) to ensure you don’t damage the side in your kitchen (Just don’t tell my misses I do this in the kitchen ;P). 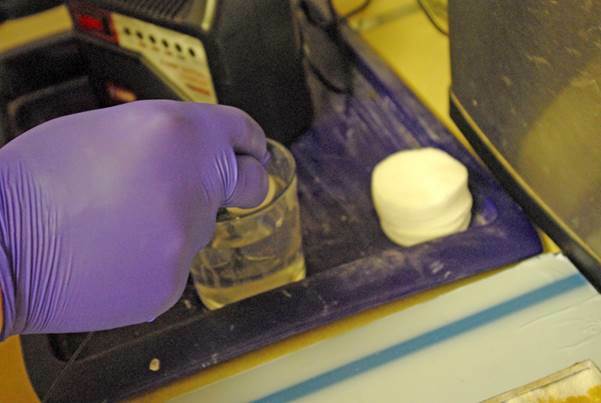 Before we get started I should also mention ensure the area is well ventilated, why the gas coming off salt water is not very harmful, in this sort of dose it would be if you let it build up. 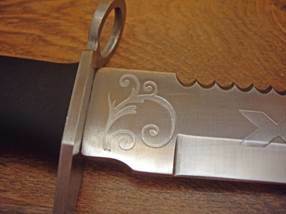 So onto the etching, first attach the positive lead to the piece you are doing. 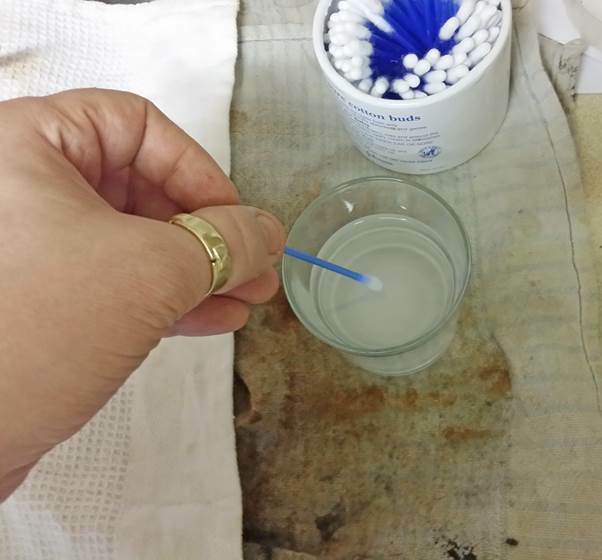 Then place your cotton wool bud into your salt water mix (the mix is a hit a miss affair really, too much and your create way to much heat. 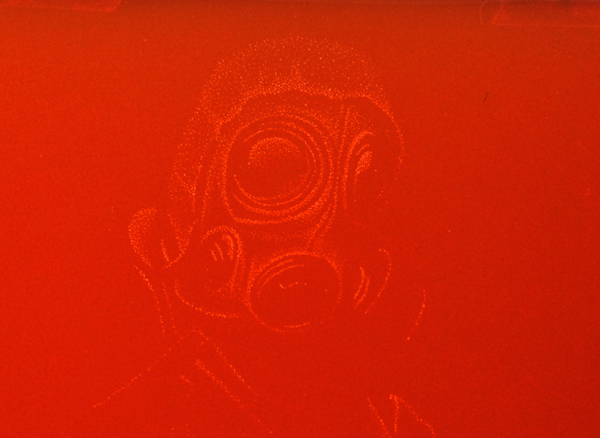 This will then lifts up your stencil and mess everything up. 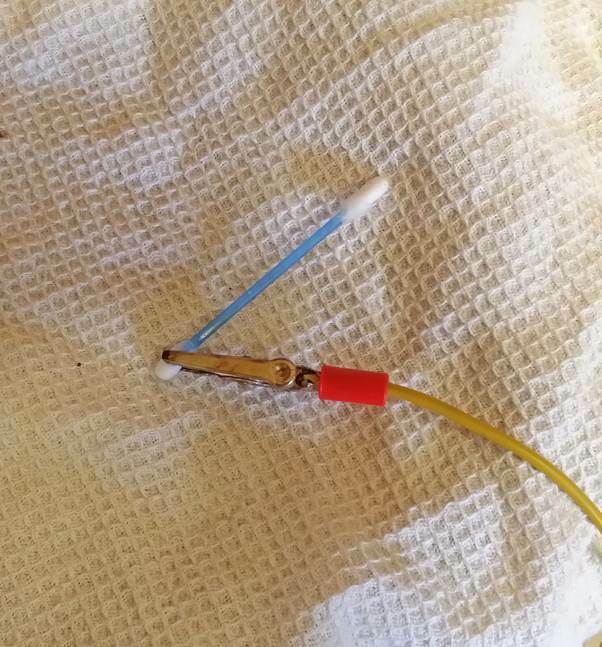 Then attach it to the negative cable (I know it has red, but this is way I made this cable, and once done I could not be bothered to change it). I thought I would have an issue with this though and I was right, the tattoo power supply could not give enough oomph due to the size of the panel. Although it was more than enough for the knifes I have done, it was time to swap over to a Car battery charger. 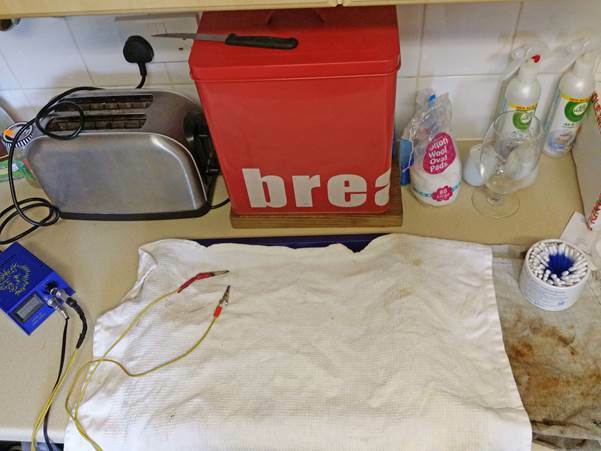 Due to the size of the connecters on the battery charger you want to get some of your misses or sisters (depending who’s stuff is nearer) face pads or cotton pads, wrap them round the cotton wool bud and clamp them with the connector. Once done dip into the salt water and then push down on the towel to get rid of any excess water off the pad. 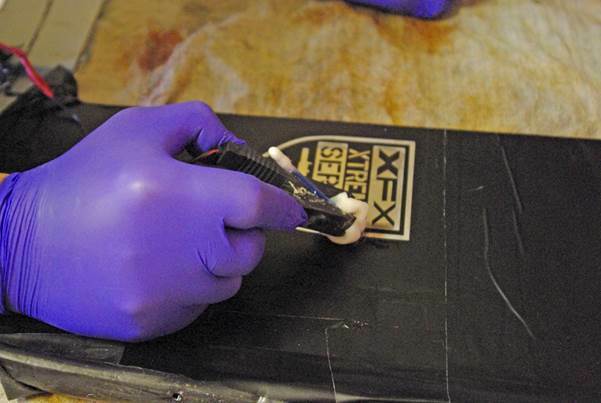 Then start going over your stencil, check every few seconds that the cotton pad is not becoming too hot, if it is water down your salt water mix. 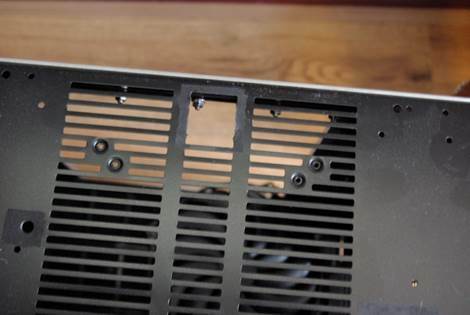 You will hear it sizzling when it is working, also do not breathe in any of the fumes that come off the panel,. The fumes will not kill you but having made the mistake once you will know why you should not breathe them in. (can you say numb and tingling mouth? I did once, but never again so you have been warned. This was after 30 minutes of going over the stencil, it was not as deep as I would have liked, but it was my first time using this method with aluminium rather than steel and it’s quite funny that the steel is easier to work with, but his could also be down to the size of the panel, although 30 minutes was good enough to get a 1mm depth on the stencil. After a little polish you can see roughly what all that work was for, this is now embossed into the side panel and will still be there once painted. Until the next time. Hi all back for an update, first point of call now I had done the etch on the custom side panel, it was time to mount it, I decided to use some smaller Allen bolts for these to give an almost pot riveted look. 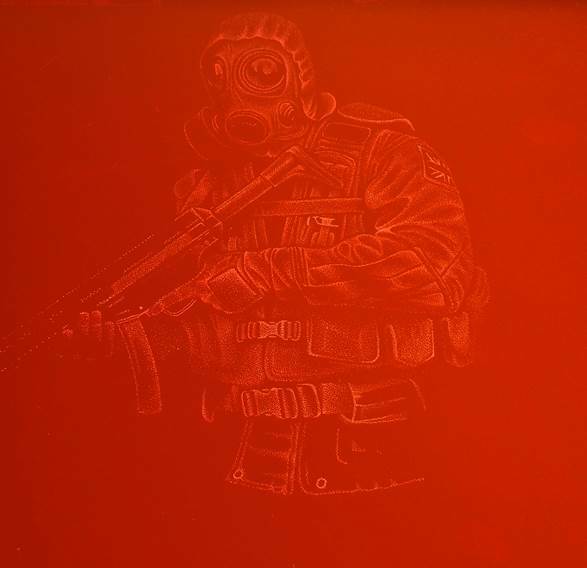 I had to do this anyway to ensure the 6mm aluminium piece would stay mounted to the 1mm steel panel behind it, it is almost a shame to paint it really, but as the themes is military (with red, grey white and black) it has to be painted too. 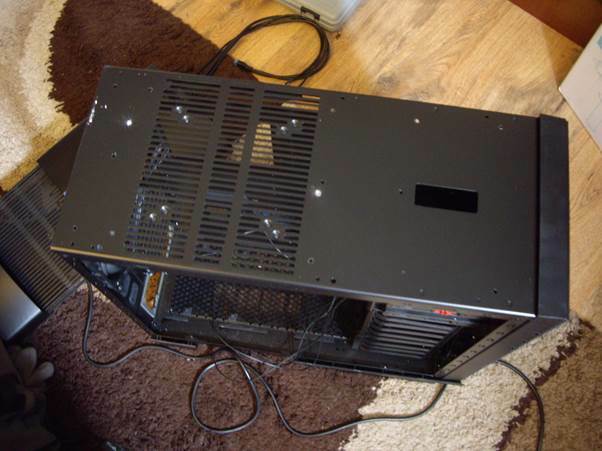 Moving on now I have done this it is time to make some holes to accommodate the fill and drain ports in the case. 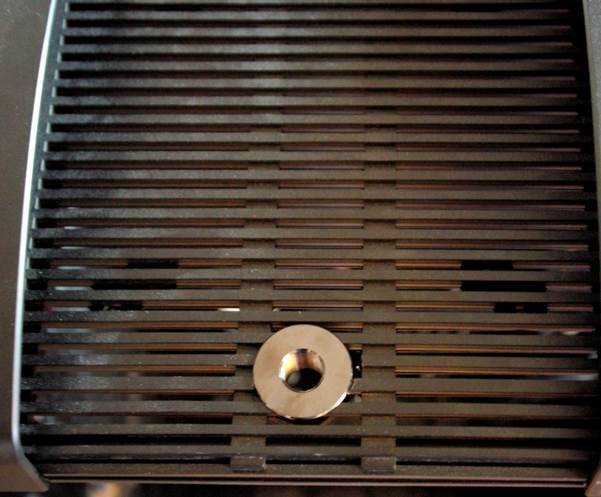 The drain port hole is placed near the PSU, with just enough room for the fitting and the pipe to squeeze in, also it seems the most logical place due to the fact the curvature of the case outer panels (in this case the feet support) would be in the way if it was placed any other place. 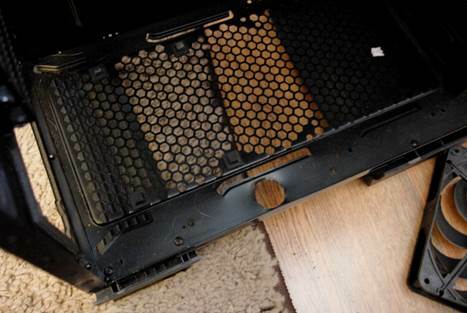 The top fill port hole was placed in the exact opposite location leaving only enough room for the fan, I done this as mentioned due to the curvature of the case. 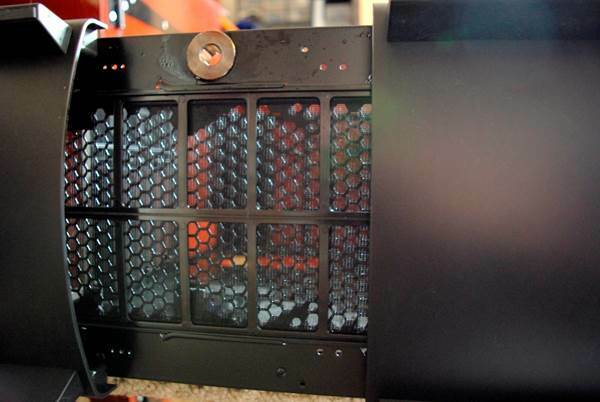 Top mounted Primochill fill port in place on the roof of the case. 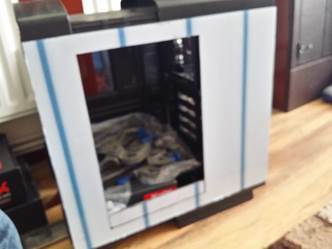 The bottom Primochill drain port mounted in place to check fitment, now both of them locations are fixed, before I strip the case down to plan the watercooling I want to do a little mock-up of the gun placements, just to get a rough idea. 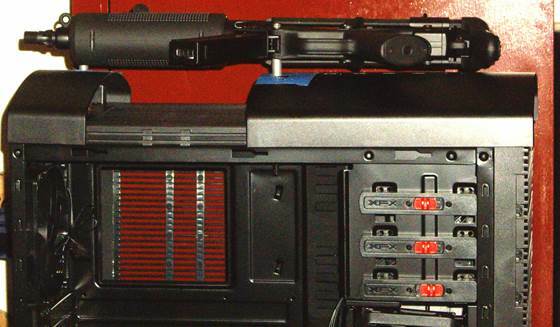 Top mounted MP5 in place with room to spare for one of the USB ports and headphone and mic jack so they are useable. 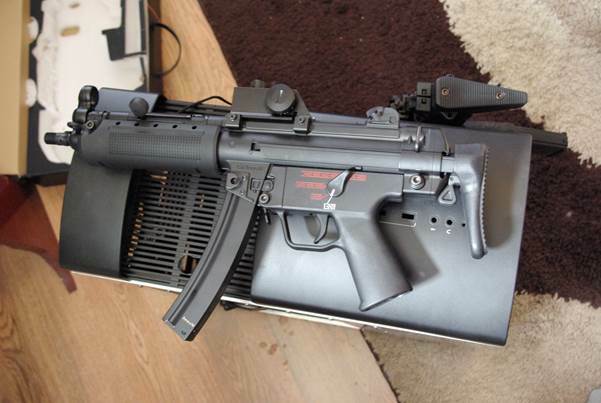 MP7 mounted to the side panel via leg holster, might not be every ones cup of tea, but as they say in blighty horses for courses. Another update will be coming this weekend stay tuned. Nice work! I'm a sucker for military themes also. 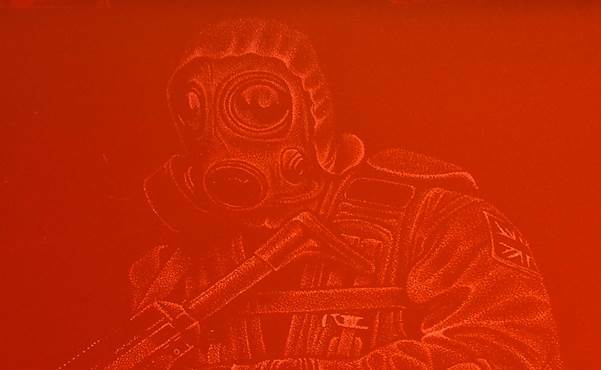 Spray painting guide, shiney style!